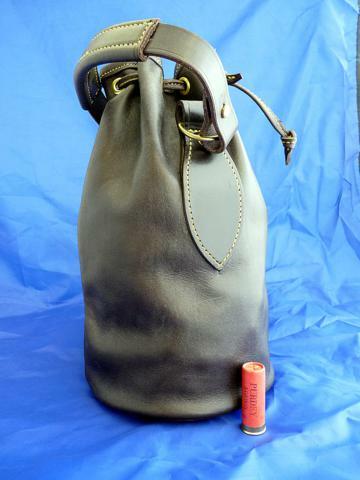 Spanish partridge shooting has developed a series of equipment particular to their own requirements and this is our version of their cartridge bag , but made from best quality leather! I have copied a fine Spanish cartridge bag which is in effect a small duffel bag. We make this bag with Sedgewicks panel hide, this leather is slightly more supple and heavier than the Spanish leather and we make it this way as it will better stand up to our elements. 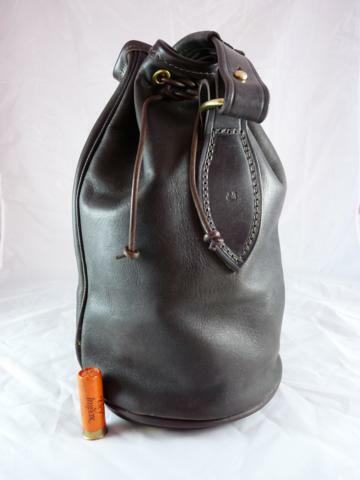 The bag is 13 inches high by 8 inches in diameter and closed by a very strong leather thong, it has a simple padded 4mm thick handle which you would expect in a bag to carry 300 cartridges. 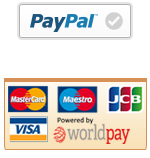 Designed to hold more than 250 cartridges, it is an ideal receptacle for keeping in the car and emptying your pockets into at the end of the day or indeed as the Spanish use it for taking spare cartridges on a really hot drive or when you need squibs for two. This bag has a 9mm plywood disc built into its base, so it will take any amount of weight – I have seen them used for fishing tackle, champagne etc and many other uses – a useful all rounder. We have recently made a larger version of this bag with a shoulder strap to hold a laptop and weekend cloths, the recipient was pleased with the result.